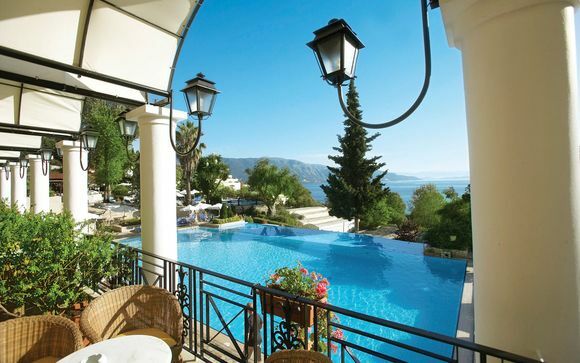 Holidays to Corfu up to -70% off To take advantage of these offers, join now for free! 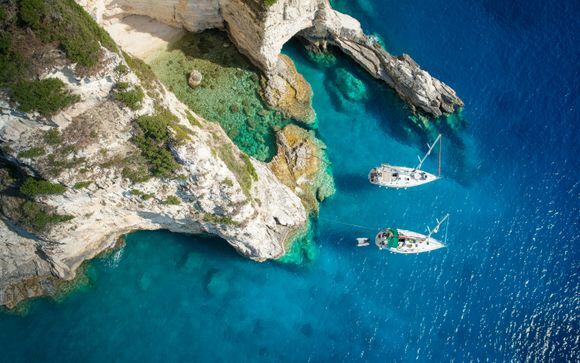 Boasting rugged mountains, sandy beaches and chilled-out tavernas, Corfu provides the perfect backdrop to a replenishing and relaxing holiday. 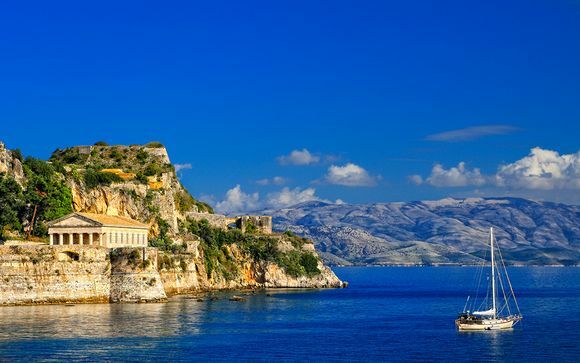 Situated in the warm seas of the Mediterranean and framed by cypress trees and olive groves, Corfu has something for everyone. 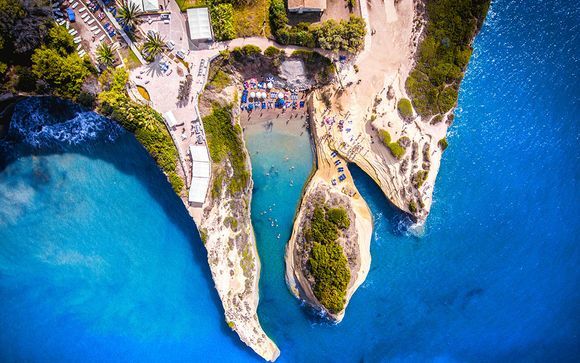 Whether you are looking for an easy-going, catered holiday in a five-star resort, or something more tranquil and off the beaten track, Corfu has everything covered. Once a centre of art and learning in early-modern Greece, Corfu retains a deep respect for art and learning. There are museums and art galleries for those who are hungry for culture, and the truly turquoise seas are a stunning catalyst for inspiration. To get inspired yourself, enjoy a luxury holiday in Corfu with us and discover the timeless beauty of this stunning island. 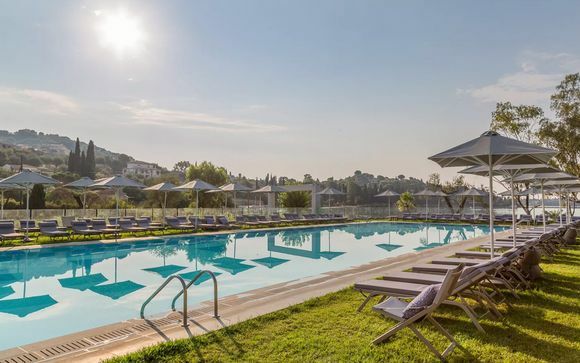 Spend your days lounging on white sands and swimming in the sea, and relax into your evenings sampling delicious Mediterranean cuisine, sharing fresh seafood dishes and watching the sunset over a glass of local wine. If you fancy doing something a little more active, there are a whole host of beautiful historic villages for you to explore. Corfu Old Town is composed of gorgeous Venetian architecture, full of secret paved backstreets and hidden walled gardens. If even the Old Town is too bustling for you, a little further afield there are a myriad of quaint, crumbling villages for you to explore. Try Kasiopi for the sights and sounds of a traditional Greek fishing village, or Agios Matheos if you have a penchant for mountains and greenery. The village of Pelekas gets a little busier in the summer, but is rumoured to have the best sunsets on the island. As top-of-the-range luxury travel experts, we provide spectacular private villas and luxurious hotels. We can cater a relaxing and hassle-free holiday to your individual needs, whether you are a couple seeking solitude or a family looking to spend some quality time together. Our handpicked accommodation offers include our villas nestled above the small coastal village of Nissaki and providing a spectacular view of the island. For those who would rather be catered-to, we also have a range of incredible hotels, overlooking the sea and located in convenient walking-distance of the historic Old Town. 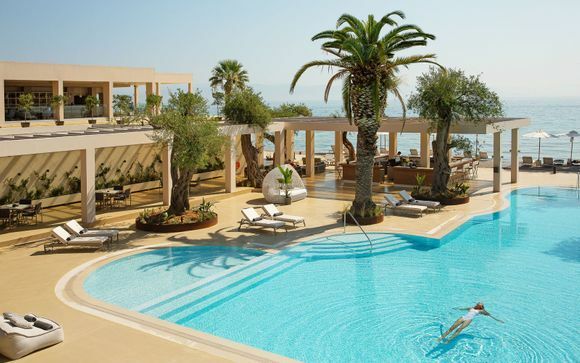 For the best deals in luxury holidays, get registering with our website and start planning your well-deserved Corfu getaway today.